Zemey Rinpoche’s ritual is in the bottom paragraph. 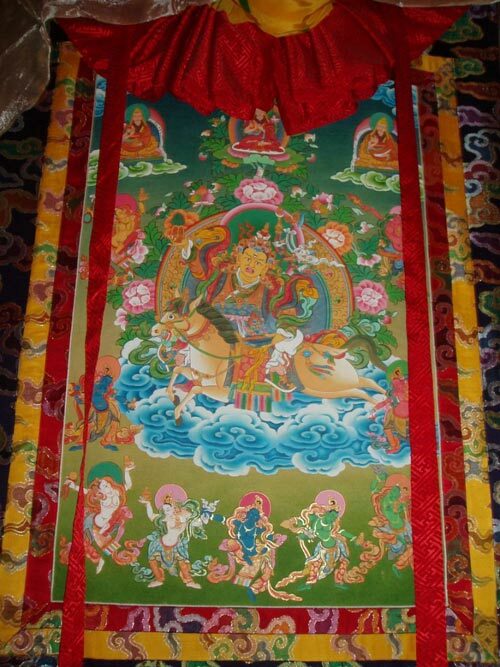 A photo of a thangkha at Ganden Sampeling. 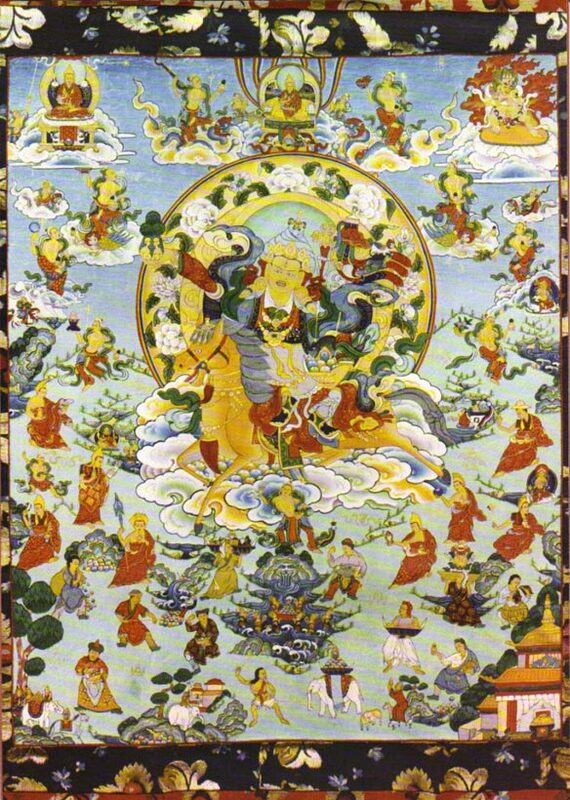 The image above shows Dorje Shugden manifesting in an increasing form. At the request of Gangchen Rinpoche, Zemey Rinpoche wrote a ritual specifically for this increasing form of Dorje Shugden called A Request to The Glory of the Three Worlds, The Increaser Dorje Shugden and Retinue.